Combined Catalog: Archives, Manuscripts, Sound Files, Photographs and Artifacts. Search across four databases simultaneously. The results will be sorted and displayed by collection type: Archives, Manuscripts, AV, Photographs and Artifacts. Archives Catalog: Institutional records of Davidson College from its establishment in 1837 to the present day. Included within the collections are president’s office records, academic department files, and student organization records. Manuscript Catalog: Unpublished documents such as diaries, letters, speeches and sermons. The collections may be about an individual, a family or a group. The majority of the collections relate to students and alumni of the college and to civic organizations in the town of Davidson, North Carolina. Photograph Catalog: 10,500+ photographs and more than 4,000 negatives and slides. The collection primarily focuses on the history of Davidson College and the town of Davidson. Audiovisual Catalog: Media including record albums, audiocassettes, videocassettes, music cds, cd-roms, and dvds. Most of the collection deals with campus events such as convocation, freshman orientation lectures, commencements, and reunions. There are also oral history tapes related to college and town history. 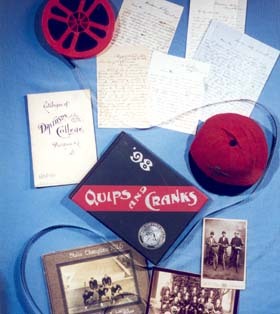 Artifacts Catalog: Objects and memorabilia connected to the college and town. The collection includes freshman beanies, t-shirts, uniforms, decals, badges and pins, trophies and more. Lake Norman Magazine Photographs Catalog: Photographs from 1989-2004 taken for or used in the Lake Norman Magazine. 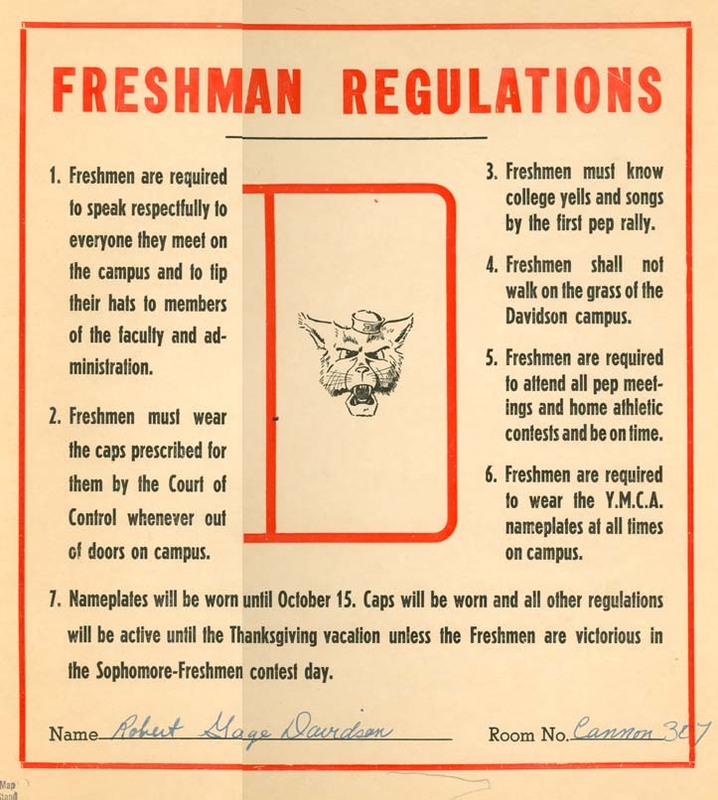 Davidson College Digital Repository: Davidson’s Archive for College, History, and Scholarship – We’ll get you to the right place for your research.